The tri-colored heron is one of the most colorful of herons. Its chest and belly are white, neck is a rusty red, and the rest of the body and head are a slate blue. To complete this parade of colors we should add the yellow legs, which turn pink in the breeding season, and the yellow-orange bill, which turns blue in the breeding season. All those colors make you wonder how they help the bird hide from its prey. But a fish looking up would see—or more to the point would fail to see—its white belly against the bright sky. And predators could easily lose sight of it against the rusty colors of the dead leaves and slate blue of the water. 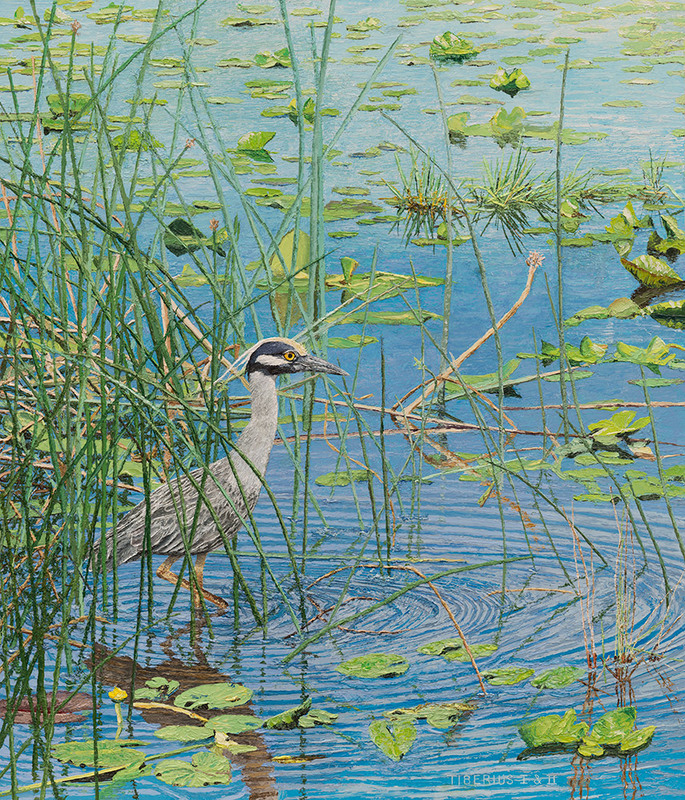 We painted it in the context of the aroids that typically grow in the swamps where Tri-colored herons forage. The Aroids are probably Arrowhead (Sagittaria latifolia). If there had been some white 3-petaled flowers we would have been surer but there weren’t any. In any case, the dark shadows of these plants provided a perfect frame for the heron. The little umbrellas shining in the sun that range along the base of the aroids are Pennyworts (Hydrocotyle umbellata), sometimes called Dollarweeds. It is an edible weed in the carrot family that can be used in salads. But our heron is not interested in salad. He or she (male and female look alike) is focused on the meat dish. 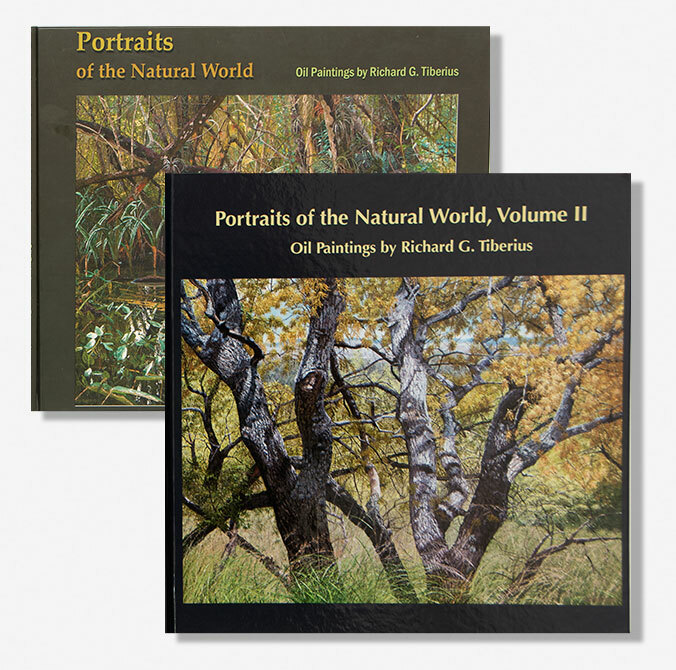 I was stunned when I saw your paintings on the internet. I understand that “Yellow-crowned Night Heron ” is for sale. For how much? Can you deliver abroad? Thank you very much. 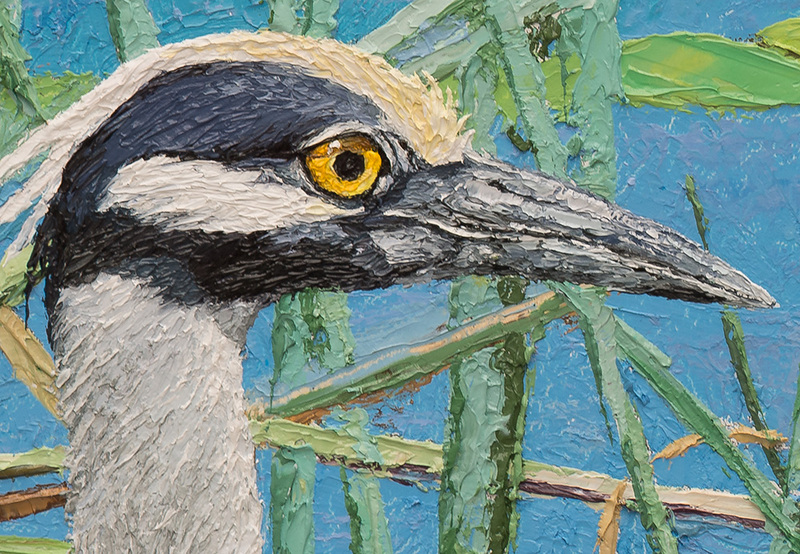 Yes, “Yellow-crowned Night Heron” is still available. We will email you a price list for all our currently available paintings. We do ship internationally. Thank you for your interest! You’ll hear from us via email shortly.